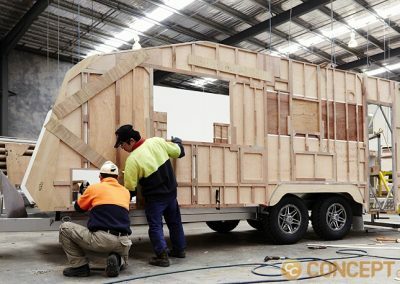 Our Factory - Concept Caravans | Innovative and stylish Australian made caravans. 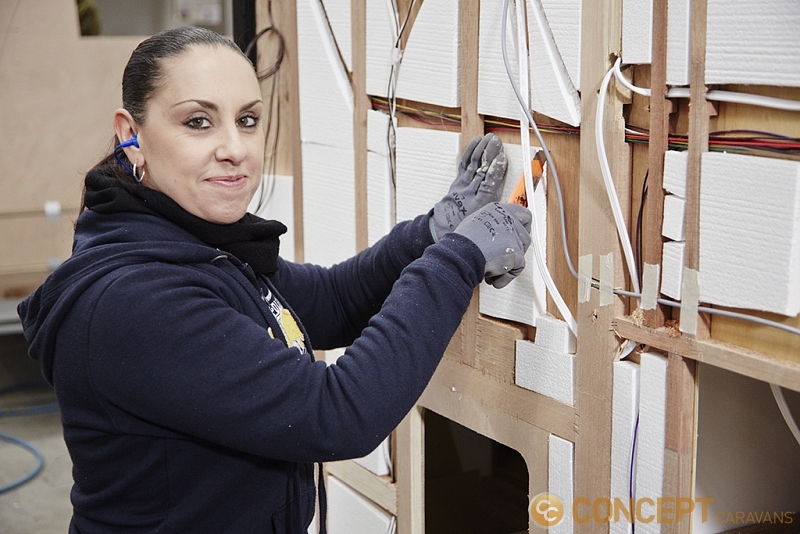 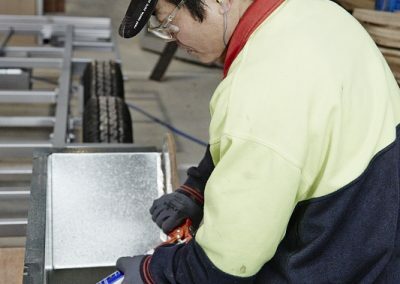 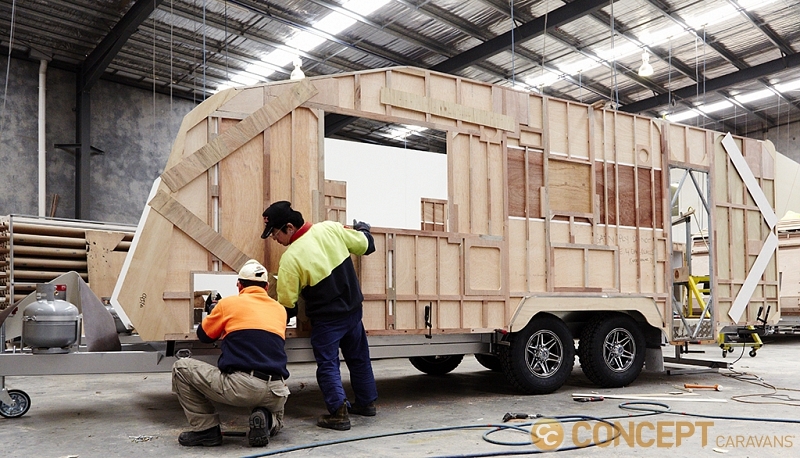 At Concept Caravans® streamlined manufacturing is key. 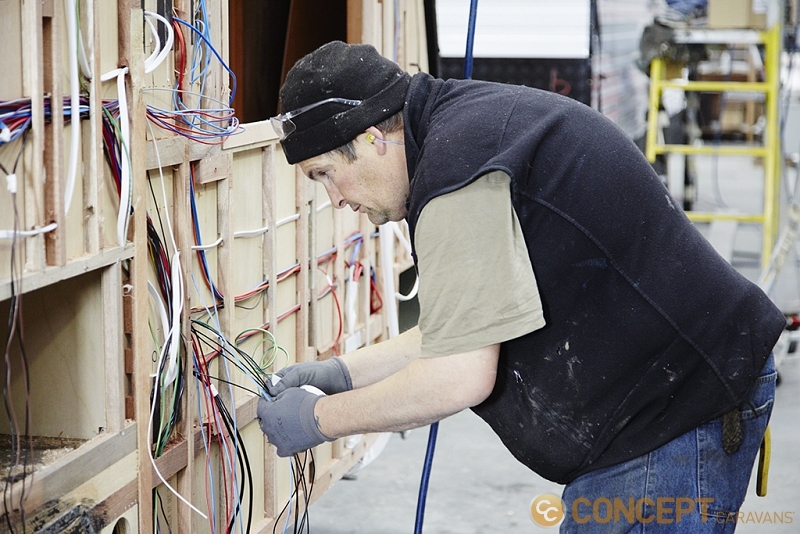 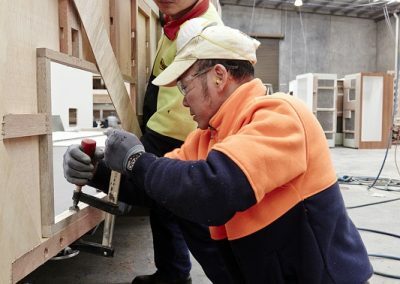 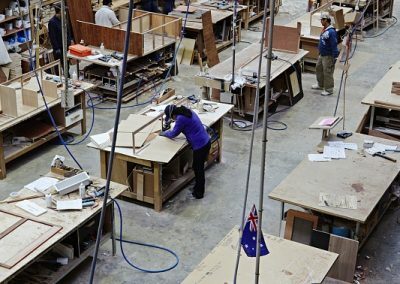 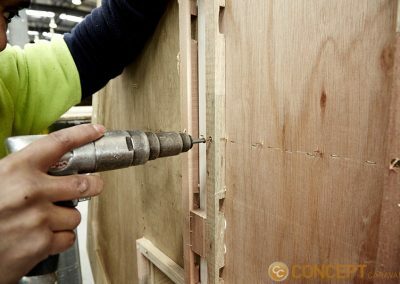 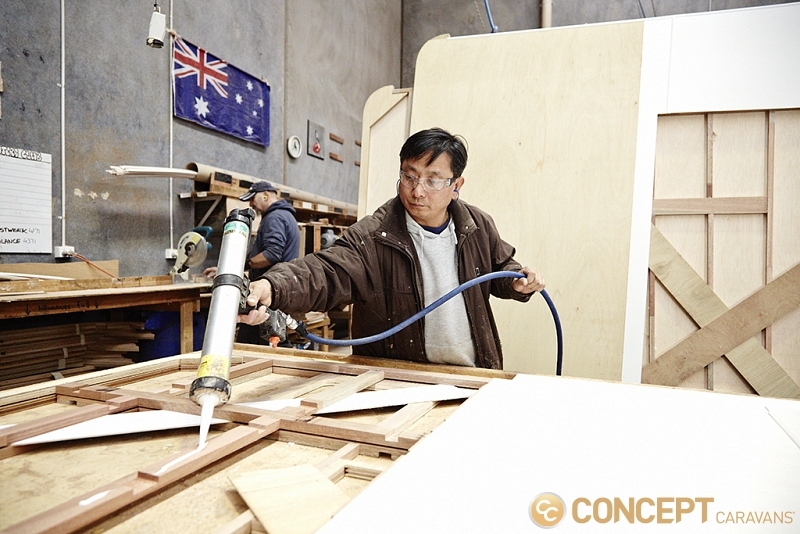 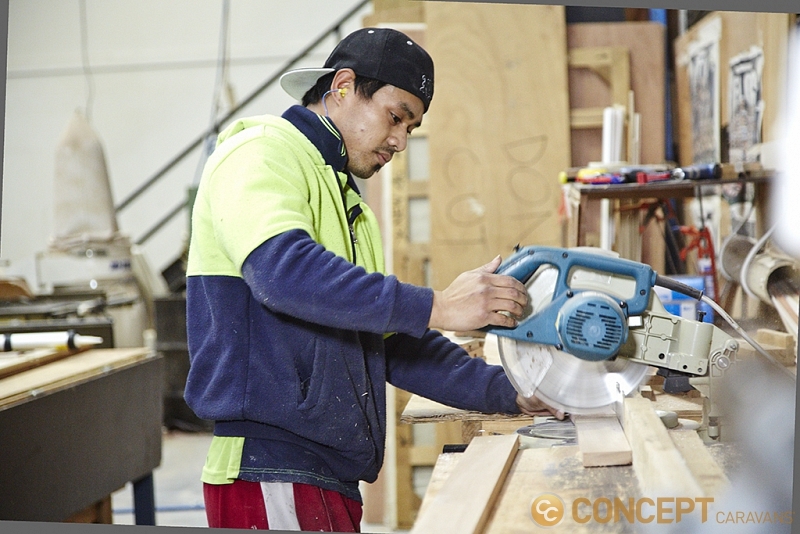 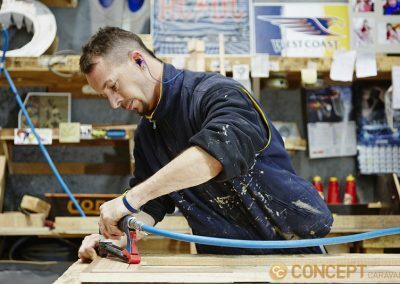 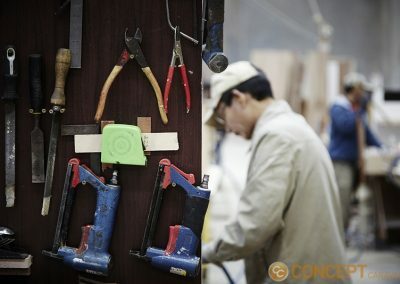 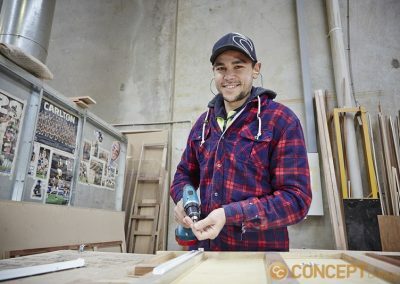 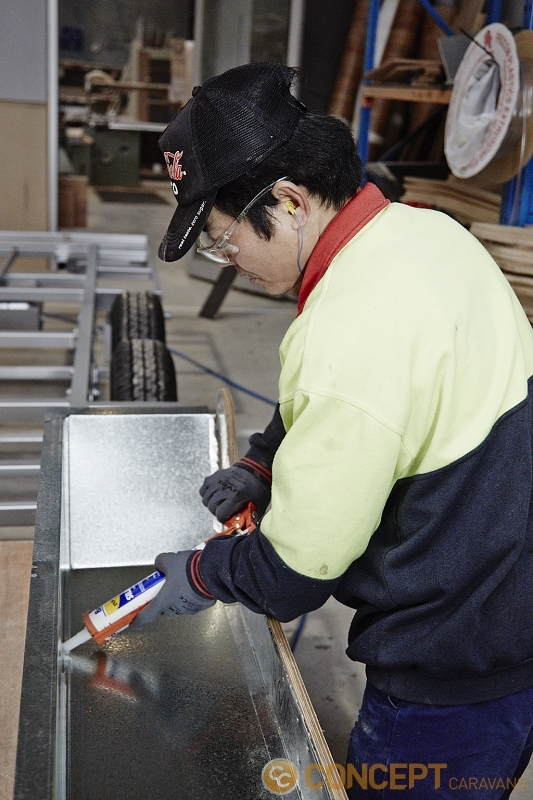 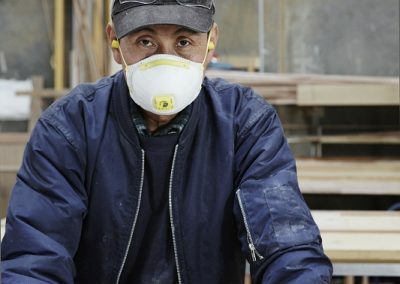 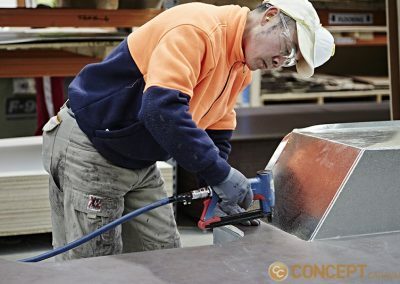 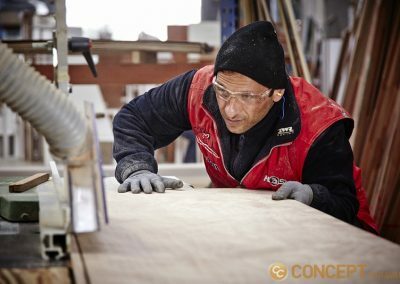 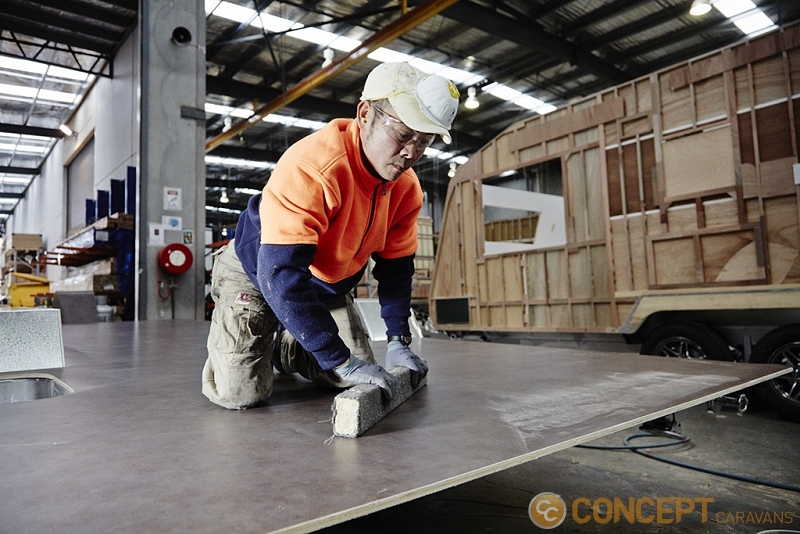 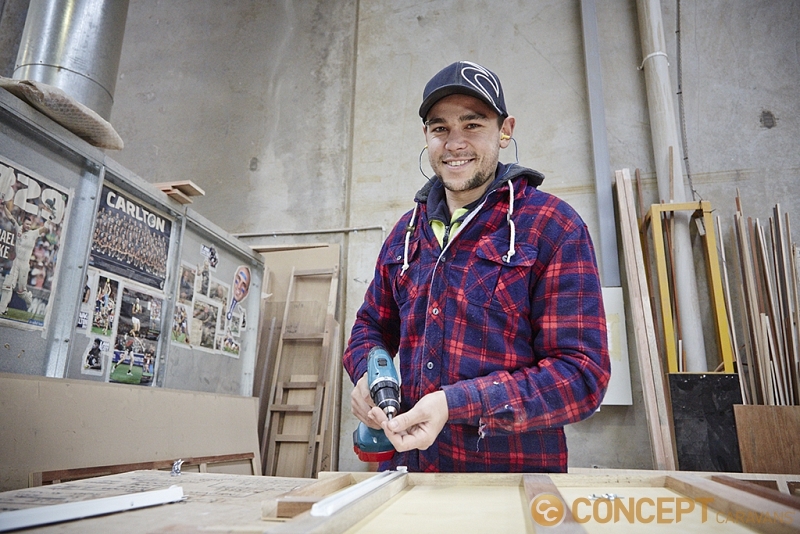 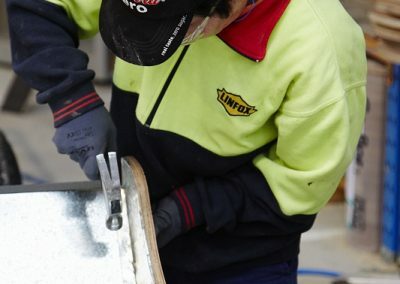 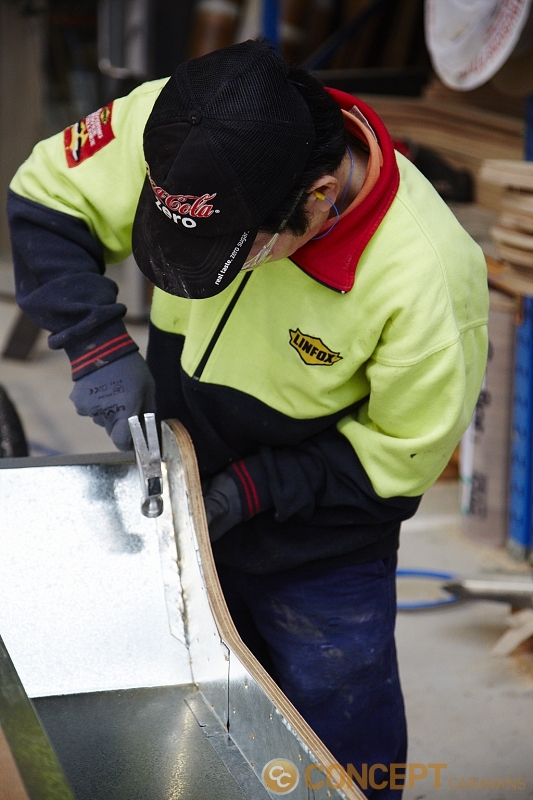 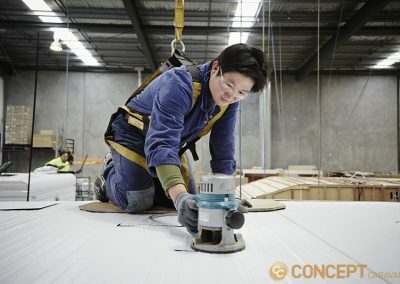 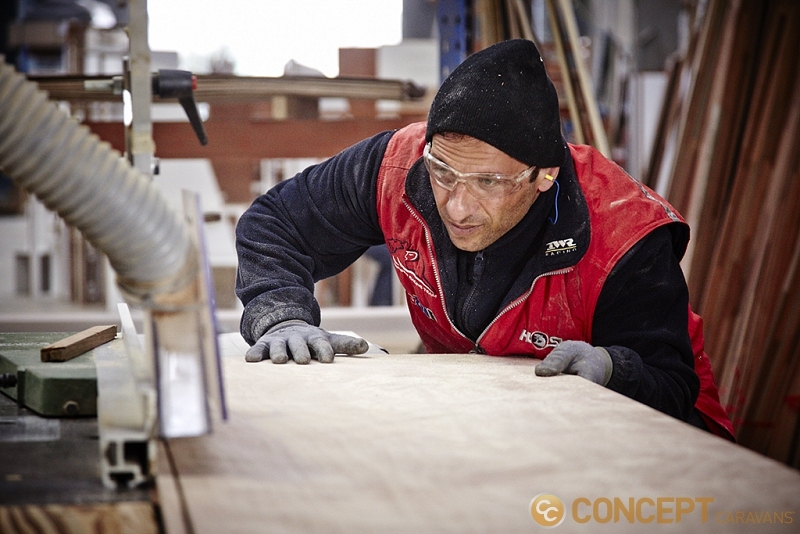 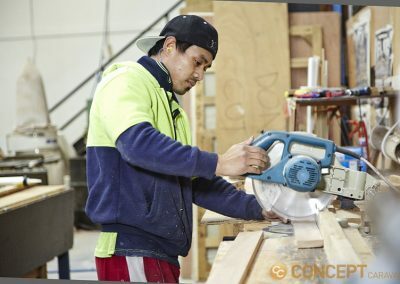 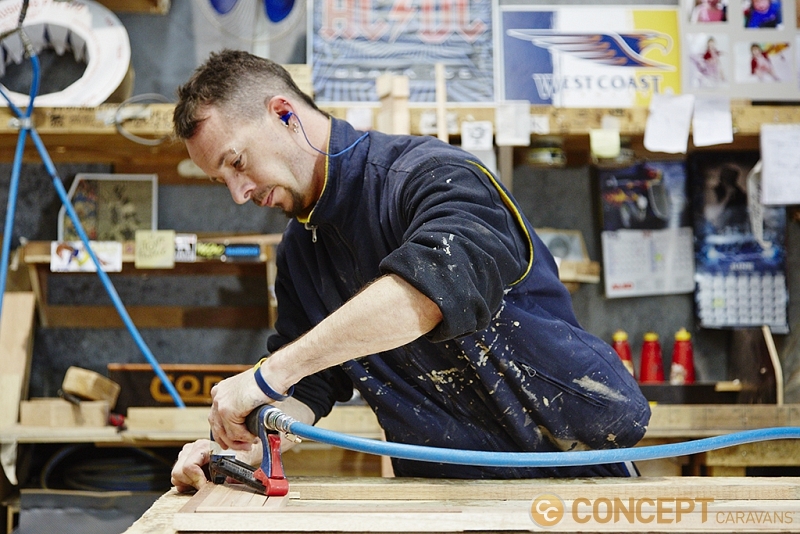 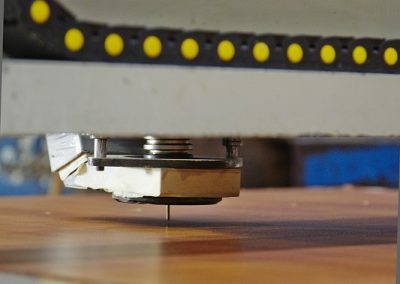 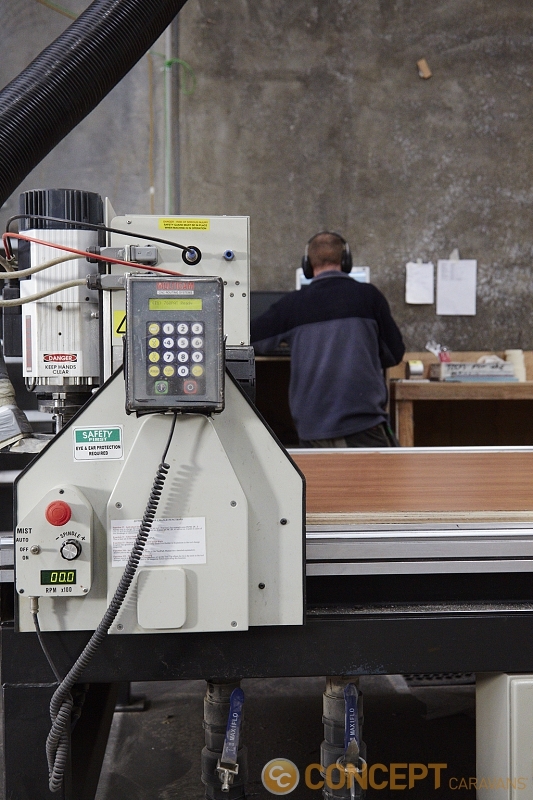 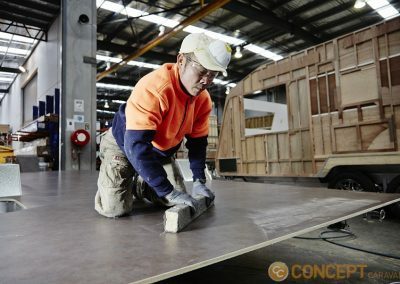 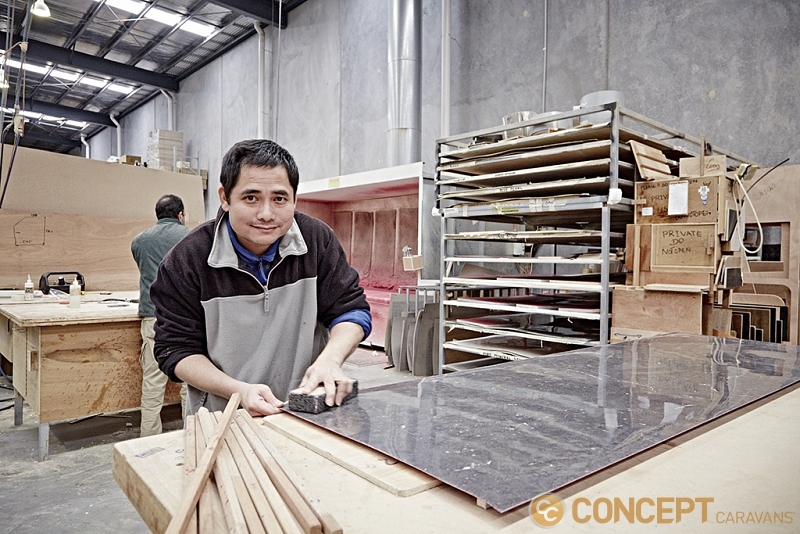 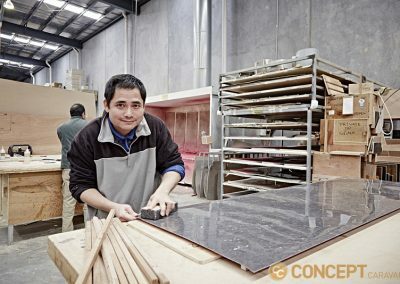 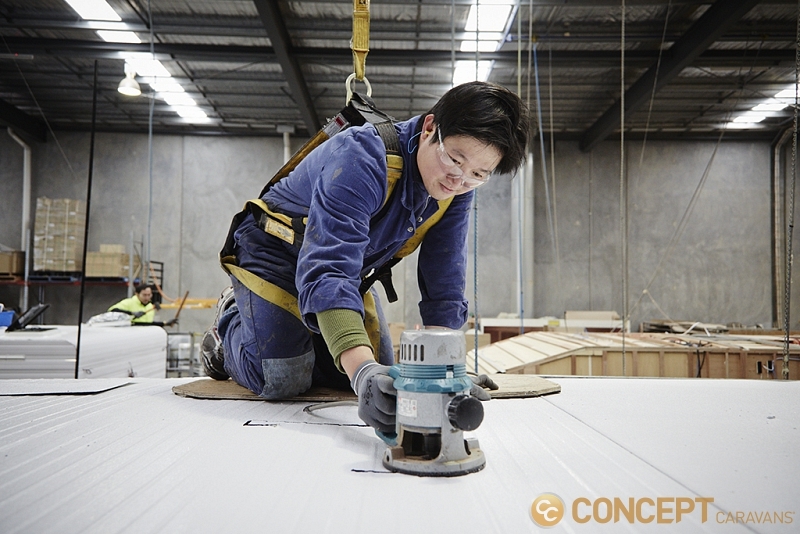 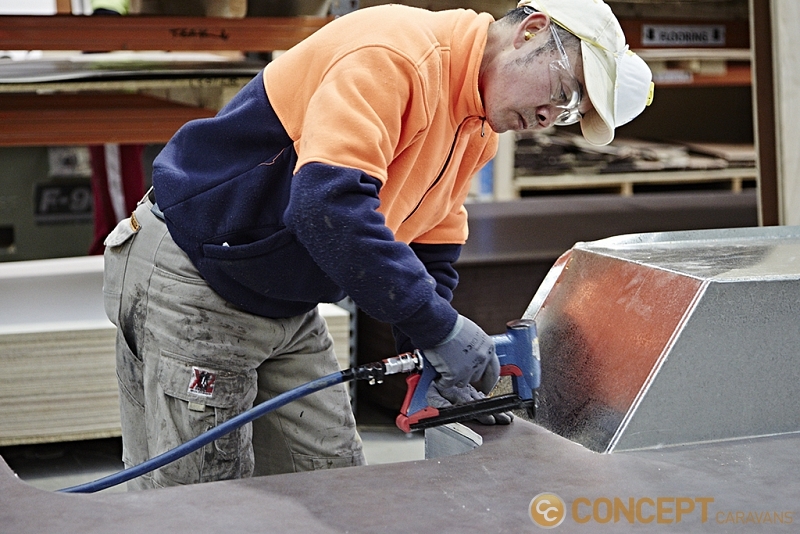 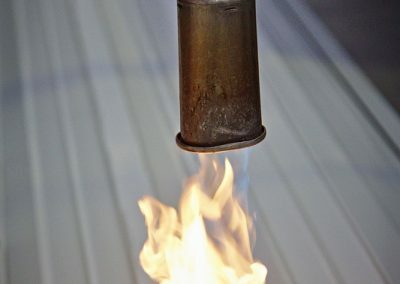 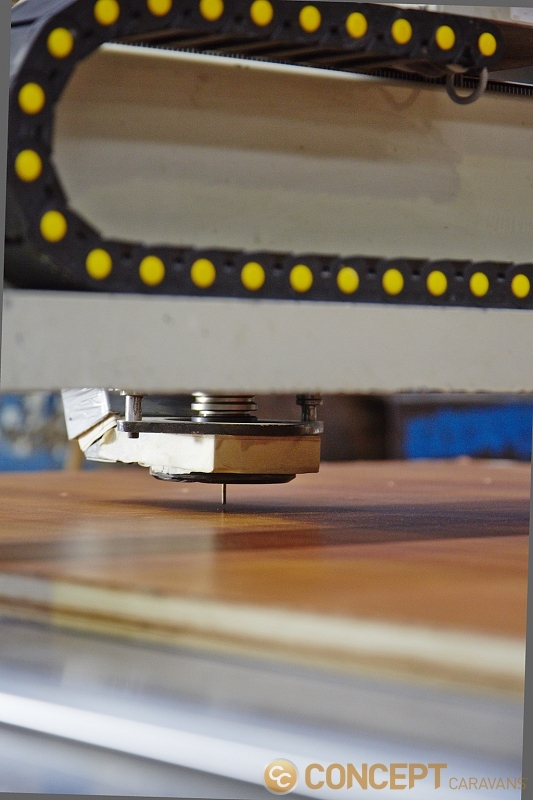 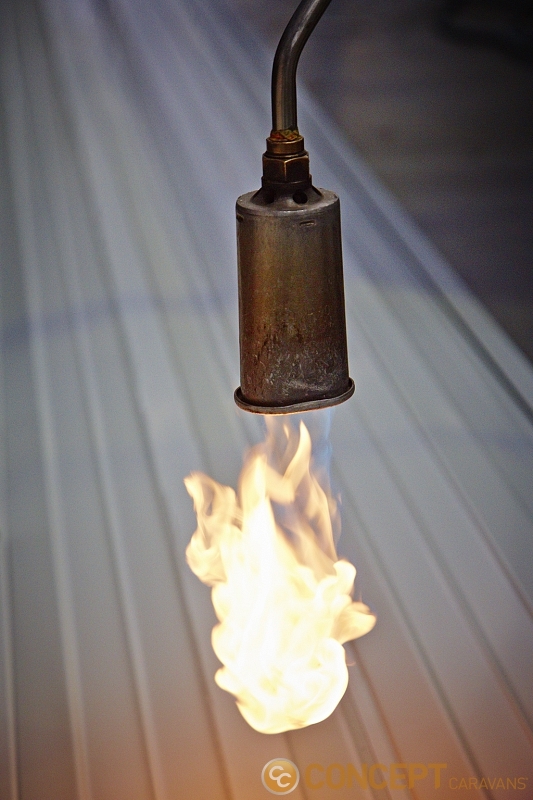 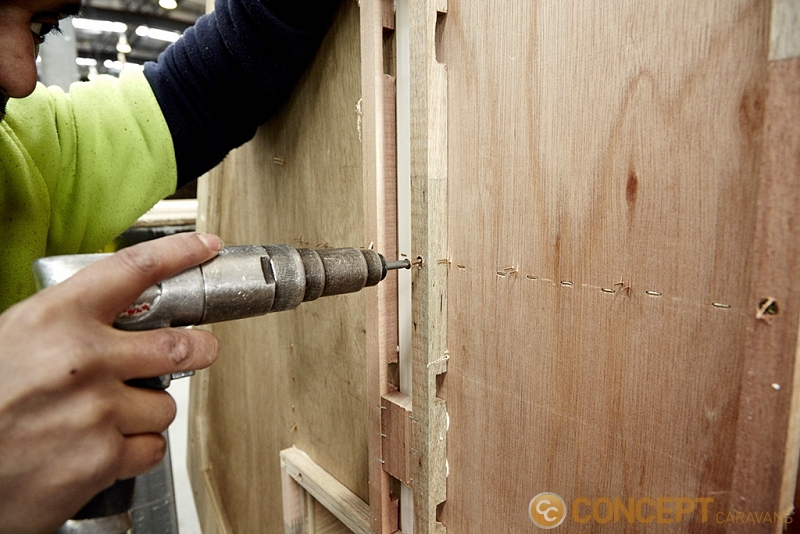 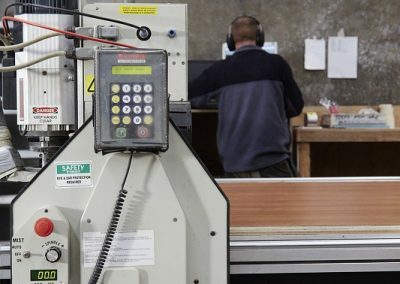 To guarantee precision, we use computer aided laser cutting machines for bodywork and joinery, overhead cranes to place roofs and a unique one man lifter to hoist air conditioners into place. 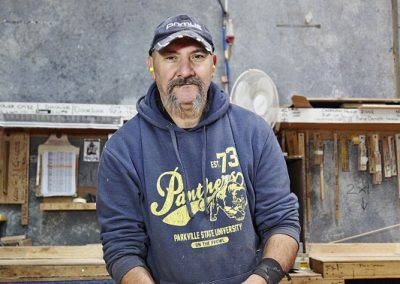 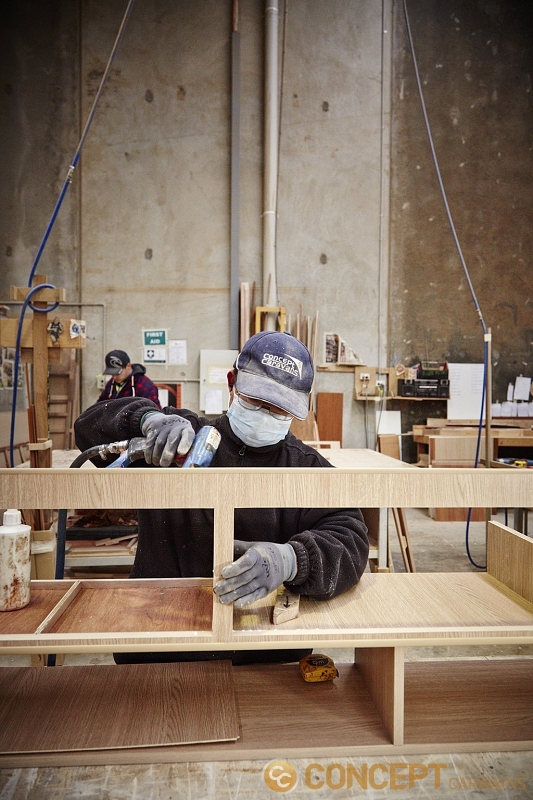 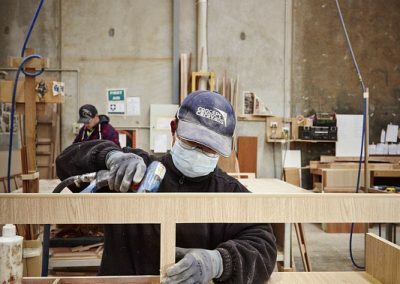 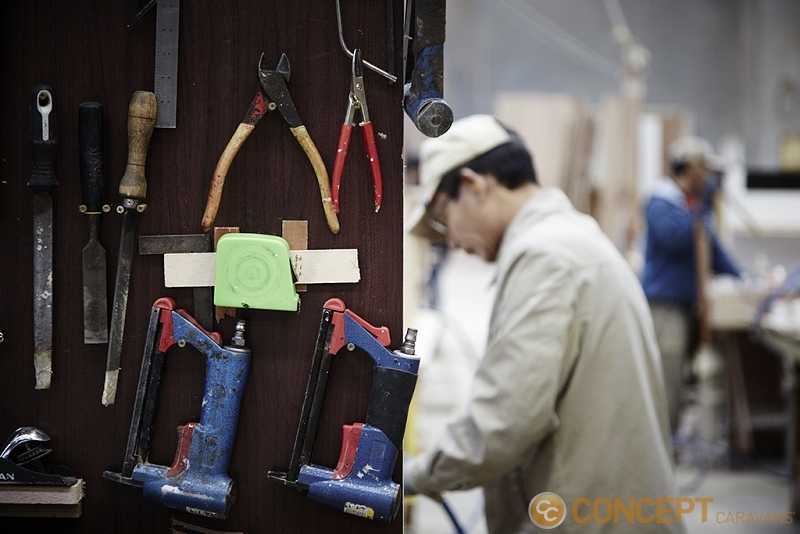 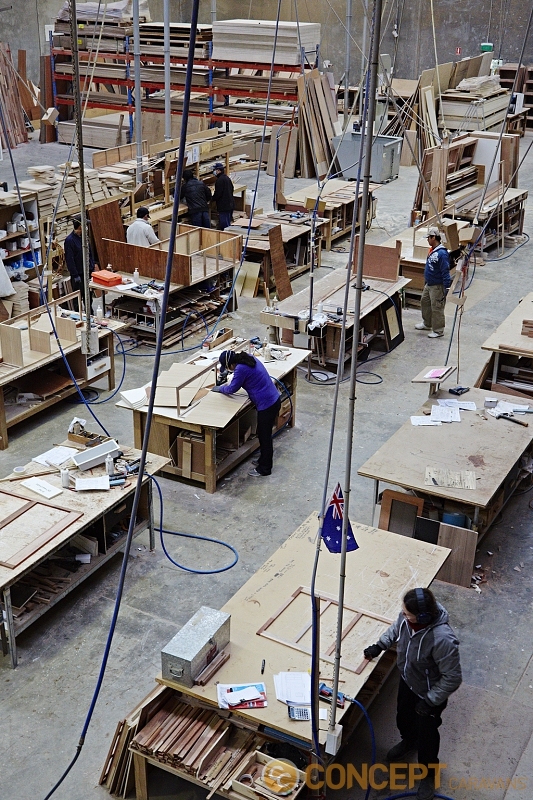 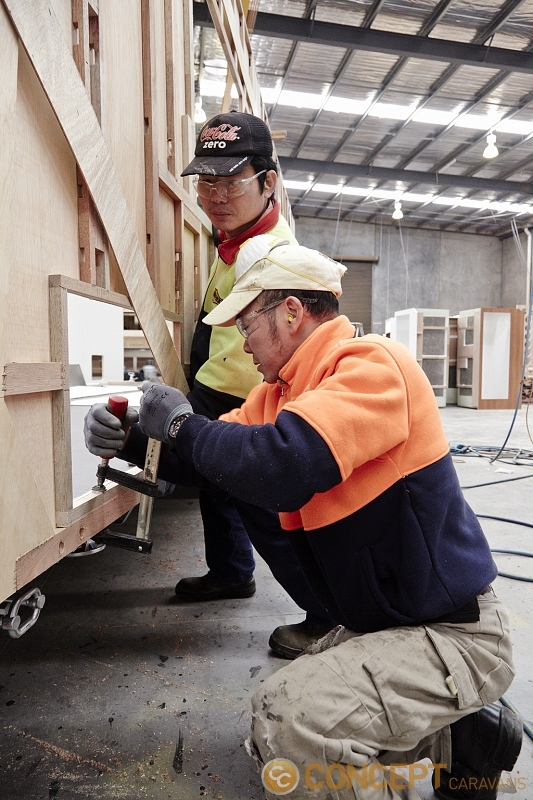 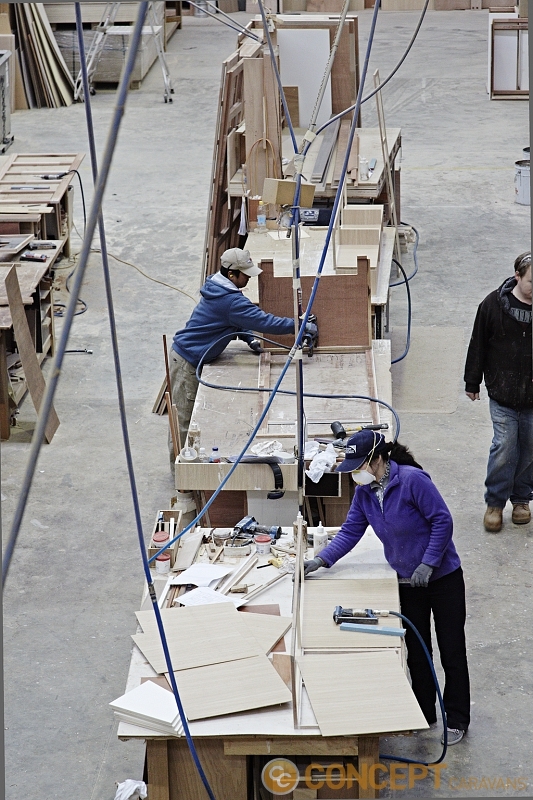 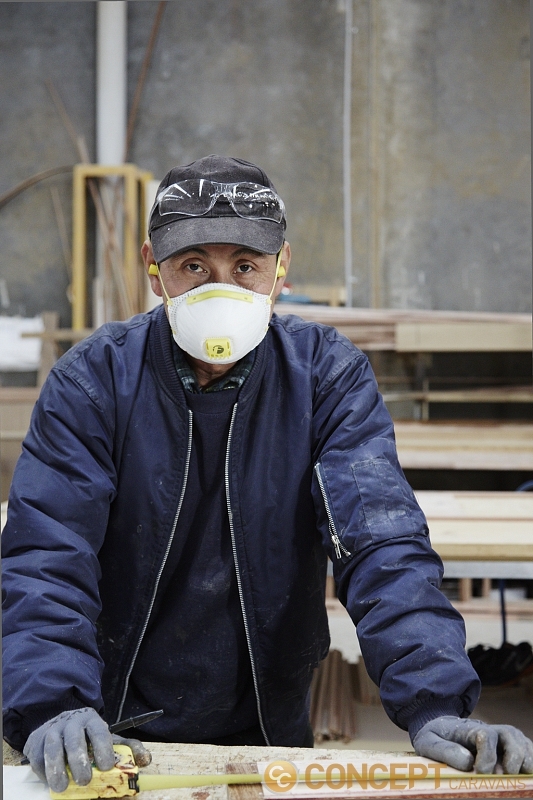 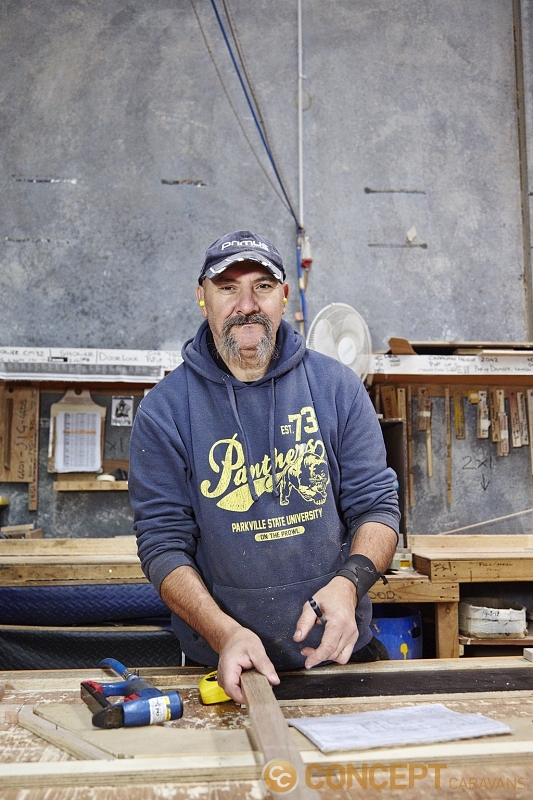 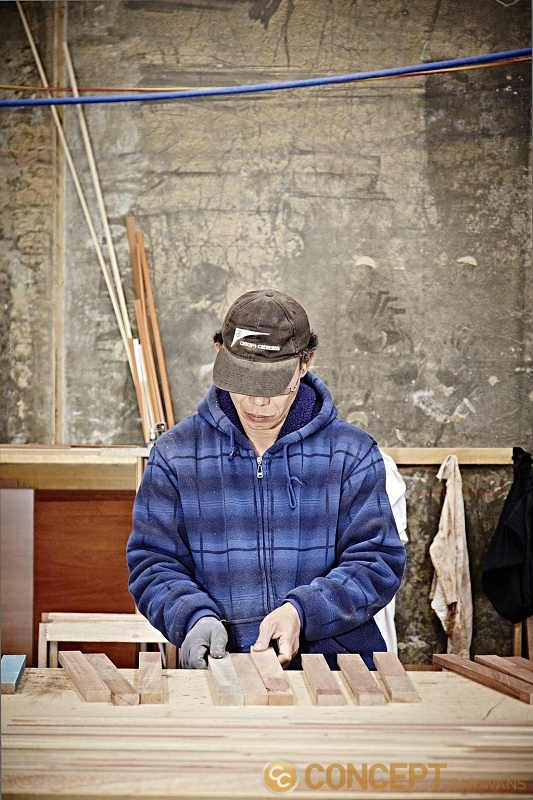 We also have a dedicated factory where we make our own furniture and cabinetry.